On 8 January 2019, H.E. General Chatchai Sarikulya, Deputy Prime Minister, participated in a joint press conference with H.E. 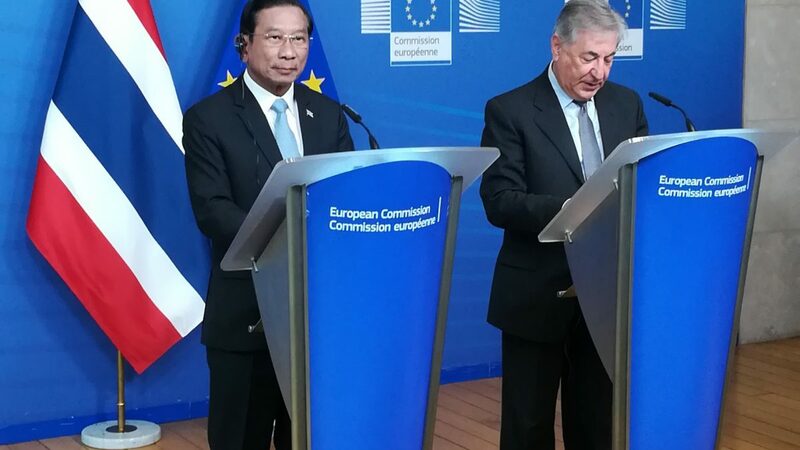 Mr. Karmenu Vella, European Commissioner for Maritime Affairs and Fisheries, at the European Commission Headquarters in Brussels on the occasion that the EU formally announced the lifting of a yellow card for Thailand in recognition of the substantive progress Thailand has made in tackling illegal, unreported and unregulated (IUU) fishing since 2015. 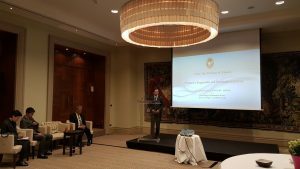 The Deputy Prime Minister of Thailand emphasised the successful cooperation between Thailand and the EU in combatting IUU fishing. He also stated that, in its capacity as ASEAN Chair this year, Thailand will give priority to promoting sustainability in all dimensions, including sustainable fishing. He also proposed enhancing the existing cooperation with the EU in all dimensions of marine sustainability, particularly the conservation of marine resources and marine environment. 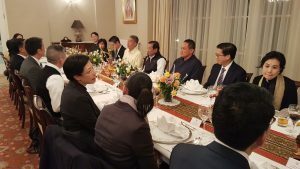 Moreover, the Deputy Prime Minister has underscored the importance that Thailand attaches not only to sustainable fishing, but also to ethical fisheries practices. 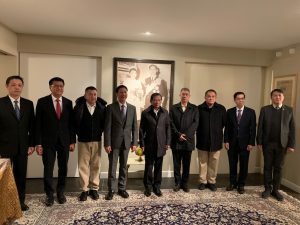 Thailand has pledged to ensure that the working conditions in its domestic fishing industry meet the International Labour Organization (ILO) standards and the United Nations Guiding Principles on Business and Human Rights. 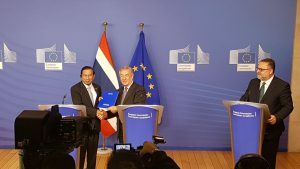 The EU Commissioner of Environment, Maritime Affairs and Fisheries praised the hard and honest work undertaken by Thailand which has enabled Thailand to carry out its international obligations to comprehensively fight IUU fishing. Prior to the joint press conference, the Deputy Prime Minister attended a bilateral meeting with Commissioner Vella to exchange views on possible future cooperation on promoting sustainable fishing and marine sustainability. 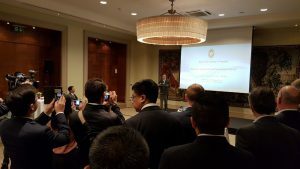 And on 9 January 2019, he delivered a statement at a reception for European importers of Thai seafood products to reassure the importers that Thai seafood products and marine animals are IUU free. 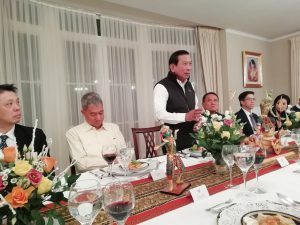 And later on that day, he met with members of the Team Thailand in Brussels at the residence of the Ambassador of Thailand.